1977 KP Sky Divers commercial. KP Snacks is a British producer of branded and own-label maize and potato based snacks, “Choc Dips” and nuts. 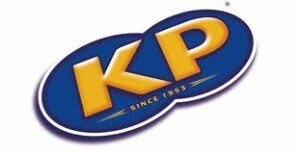 The KP originally stood for Kenyon Produce. The company is based in Rotherham, South Yorkshire, England. The company became part of United Biscuits (UB) in 1968. The KP Snacks subsidiary produces a range of packet snack brands including Hula Hoops, Meanies, Skips, McCoys, Frisps, Mini Cheddars, Brannigan’s, Royster’s, Nik Naks, Space Raiders and Phileas Fogg. The snacks part is based on Teesside and in Ashby-de-la-Zouch in Leicestershire, near the UB distribution warehouse. The Ashby-de-la-Zouch site won a “Best Factory Award” in 2004.